How many times in your life have you gotten a message across to someone without using a single word? Perhaps you’ve expressed compassion with a squeeze on the shoulder. Maybe you’ve beamed when your child received an award, communicating your pride and pleasure. You have probably told someone, “This behavior is unacceptable” with nothing more than a glare. No words needed! We communicate nonverbally all the time, whether we realize it or not. We constantly send messages and interpret signals from others. In fact, we are hardwired to pick up on nonverbal cues and send these signals from birth. Long before babies can talk, they’ve learned to let their parents (and sometimes the whole neighborhood) know when they are hungry, happy, tired, or hurt. You personally have experienced how much weight nonverbal communication carries. A coworker says you always have “such GREAT ideas,” but with a sarcastic tone. Your son insists he didn’t break the glass, but won’t look you in the eye. Your boss announces in a meeting that “The company is experiencing a minor setback but everything is fine!” yet looks tense, stressed, and nervous. When there is a mismatch between the verbal and the nonverbal component of a message, you trust the nonverbal every single time. Everyone does. If you want to present yourself as credible or caring or confident or likeable, you MUST do so nonverbally. Have you ever been videotaped? It’s horrifying, isn’t it? We have an idea of how we think we look and act and come across. When we’re confronted with the reality and it doesn’t match up (and it never does), it can be a bit of a surprise. An unpleasant surprise. If you want to be an excellent communicator and come across the way you’d like to come across, you need feedback. You can get it by recording yourself, asking people you know to give you honest feedback, or coaching. Second, excellence in anything requires coaching and practice. Human beings are hardwired to do all sorts of things—run, dance, play games, communicate—yet you won’t be great at any of them without some work. Nonverbal communication is a universal language that everyone understands, just like music. But as you know if you’ve ever tried to play an instrument, appreciating good music doesn’t automatically make you a good musician. To go from appreciating music to performing it well, you need some instruction; nonverbal communication is exactly the same way. It requires skills, practice, and coaching to become an expert communicator. You might understand a concept; that doesn’t mean you can perform the skill. If I want to play piano, I can learn conceptually how to read music. That’s an important step! But if I want to be a world-class pianist, I need to actually PLAY the piano—regularly and mindfully. To present yourself with confidence or warmth or conviction, you have to know how and then actually DO it, with purposeful attention, over and over. Everything you want in life requires communication to achieve, whether you’re ordering coffee or sending a rocket to the moon. You need to interact with people to make it happen. What do you want? 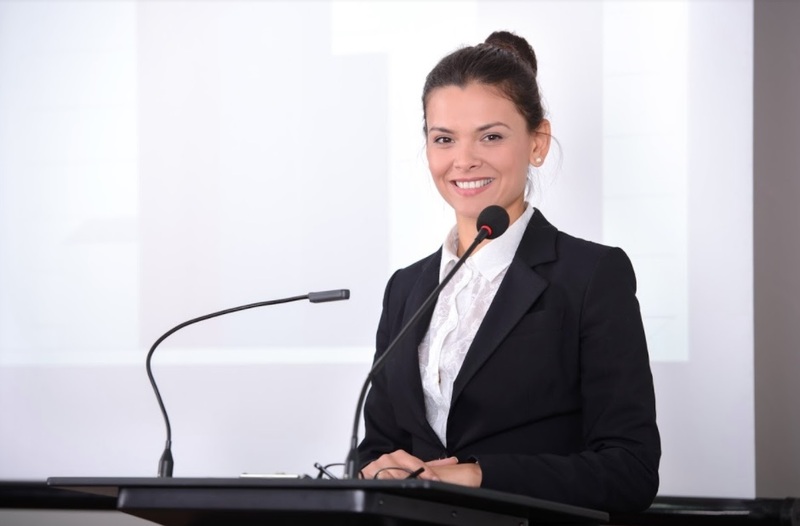 Whatever it is—job offers and promotions, leadership and presence, influence, rapport, healthy relationships—excellent nonverbal communication skills can help you get it.